How Can I Save By Buying an Air Conditioner? When buying an air conditioner, many make for themselves a not very pleasant discovery. It turns out that this thing is not cheap. And how do you want this miracle of technology not only to be more reasonable but also served for a long time and very efficiently? 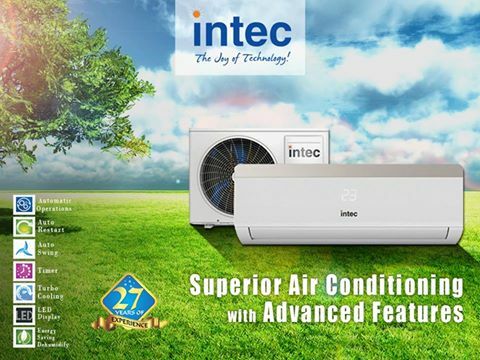 Therefore, when shopping, there is a desire to where to buy Intec air conditioner as cheap as possible. But do not forget that saving is not useful in all cases, for good reason they say: “Miserly pays twice.” So how and on what can you save on buying an air conditioner? Interesting, but by no means the most necessary functions. Choosing in favor of the classic standard configuration of air conditioning, you can save a fairly substantial amount. An older model. After all, those models of air conditioners, which were popular a few years ago, will undoubtedly save your money. Also, and this is another plus, you can learn on the thematic forums already formed the opinion of people about these models. The so-called “winter” purchase of air conditioning. The fact is that if you make a purchase not at the height of the season of sales of a particular product, it can give about 50% of the discount (this usually happens in winter and autumn). Thanks to timely consultation with a highly qualified air conditioning specialist, who can choose a more acceptable or even optimal option that is right for you. Brand (brand) conditioner. Before making a final choice, bending over to one or another model, it would be a good idea to compare products with approximately the same functionality, but produced by different manufacturers. Thanks to this you will be capable of seeing how much you are, by purchasing an air conditioner not so much an advertised brand, you will be able to get them at low window air conditioner price. It’s capacity. If the cooling capacity of the selected air conditioner is not by the calculated, the comfortable conditions in the room cannot be created. The air conditioner just cannot maintain the required parameters at the proper level. Installing the air conditioner. After all, the longevity and quality of the work of technology with unprofessional installation will be under significant threat. As an air conditioner. Any unknown manufacturer, although it is not necessary at all, can sell the device from parts that have poor characteristics, not passed individual tests or does not meet the quality standards. In the future, there may be problems with the maintenance of such air conditioners. Also worth emphasizing the importance of familiarization with the technical documentation of the product. It is advisable to start using an air conditioner only after reading the instructions and technical documentation. Now, in principle, you know all the leading cases in which you can and in which you cannot save money when buying an air conditioner. Thanks to this information, it will be much easier for you to lean towards the desired and more demanded model in your case. Good luck! Previous Article Fighting Hot Summer: Air Conditioning or Draft? Next Article Do All Branded Air Conditioners Have Heat Pumps?